The beverage packaging industry is experiencing a period of increasing innovation in design, materials and efficiency intended to meet cost and environmental concerns while enticing splintering consumer groups, according to “Beverage Packaging Market Assessment — A Benchmark Study,” conducted by Proactive Worldwide, Inc., on behalf of PMMI. Minimizing secondary packaging to cut costs and reduce overall carbon footprints. According to the report, the $22 billion U.S. beverage primary packaging market is dominated by plastics, with 40 percent of consumer goods companies (CPGs) using a variety of formats to attract consumers. Other materials used are aluminum (35 percent), glass (18 percent) and paper (5 percent), and today’s most popular primary packaging format for beverages is the bottle, which the report puts at 55 percent of the marketplace. Researchers predict market growth will exceed $28 billion by 2020, with plastics and bottles driving innovations and sales in that time. Beverage manufacturers expect plastics to drive a vast majority of incremental beverage container sales through 2020. Respondents to PMMI’s survey spoke of plastic as the medium in which green, eco-friendly/bio-degradable packaging technologies will flourish. Additionally, innovation efforts with plastics are expected to continue focusing on improved break resistance, light weighting and features that reduce spilling. Pouches are expected to show the greatest percentage growth between 2010 and 2020, increasing as much as 105.9 percent, from $545 million to 1,378,000,000: New processing and packaging equipment has made pouches cost-effective for high volume operations, as companies can now run pouches as fast as other packaging formats. 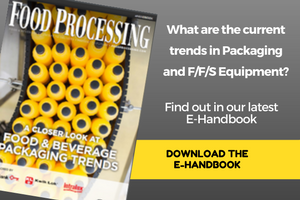 PMMI’s “Beverage Packaging Market Assessment — A Benchmark Study” is based on interviews with 71 leading beverage manufacturers and packaging supply chain solutions providers, as well as other secondary source research. PMMI released the full study, including the Executive Summary, to members earlier this month; members can download the report from PMMI.org at no charge.